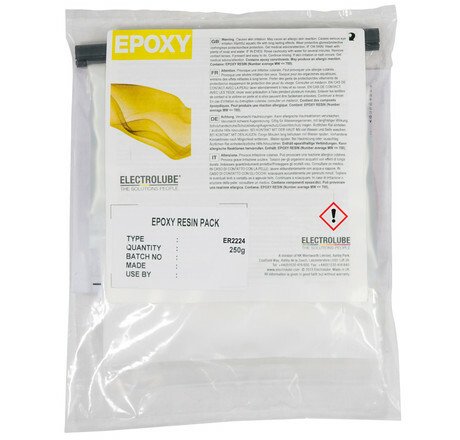 The ER2224 epoxy potting compound is a highly thermally conductive resin (1 W/m•K) that also offers strong thermal cycling properties. It is an off-white resin, which allows it to blend with LED designs, dissipating heat from the LED and extending the unit operating lifetime while offering environmental protection against the elements as well as showing good chemical resistance. It has high temperature stability with a wide operating temperature range, which makes it suitable for a wide variety of applications. 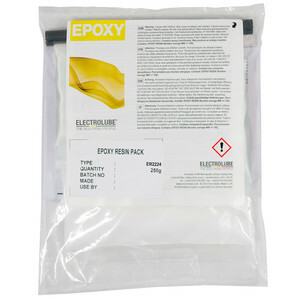 Other key properties include: high thermal conductivity; resistance to solvents and chemicals; low water absorption; and RoHS compliance. 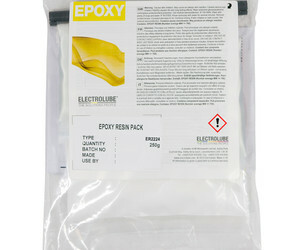 I am interested in Electrolube ER2224 thermally conductive encapsulation resin .